Dan Neely talks to Mick Moloney about his cultural tours of Ireland and Scotland. How it’s New York: Mick Moloney is a resident of New York City and a Global Distinguished Scholar at New York University. How it’s Irish: Mick is from Limerick and brings people to Ireland to experience it through his eyes. 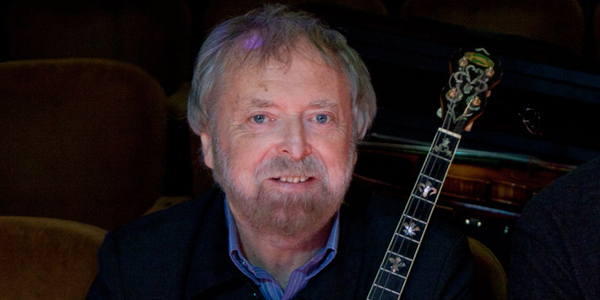 Mick Moloney, the dean of Irish-American music. …I spoke briefly with Mick Moloney last week, who told me that Green Fields of America will perform for the first time in Ireland on Saturday, June 8 at the TLT Theater in Drogheda. The group will comprise Athena Tergis, Robbie O’Connell, Billy McComiskey, Joey Abarta, Donna Long and Niall O’Leary, and he’ll have a couple of special guests in Dr. Tim Collins (from the Kilfenora Ceili Band) and Tommy Sands. Sounds like it’ll be a great show! In our conversation, Moloney also beamed about his cultural tours, the most recent – a tour of Scotland – which ended on May 19. A few times each year, Moloney takes small groups on tours of Ireland and Scotland, where he digs deeply into music, history and folklore. Moloney is not only a gifted performer but he’s a top teacher as well, and based on what I’ve heard from the people who have been on these trips, they’re utterly unforgettable experiences. On the most recent tour, the gang (which included several old time musicians from parts of Appalachia) visited Glasgow, parts of Argyll, the Outer Hebrides, the Isle of Skye, Culloden and Edinburgh. The list of musicians they encountered along the way was quite long (Fiona Hunter, Mike Vass, Iain Duncan, Ann Martin, Ingrid Henderson, Robin Morton and Alison Kinnaird, to name just a few) and they had a bunch of rare and brilliant cultural moments along the way. Just one example was the “two extraordinary days” on Harris and Lewis in the Outer Hebrides where they visited the Callinish Stones and heard Christine Primrose and Anna Murray sing and play the highland and lowland pipes. However, there, they met with Calum Martin who taught people about the area’s ancient tradition of psalm singing. The sound he described the congregation make was awe-inspiring. Because he’s so knowledgeable, is so connected and knows his way around so well, Moloney’s trips are really something special. At the moment, he is in Ireland giving a group on a tour of the Muenster Counties, and in September will take a group to the Northwest, North and Northeast of Ireland. To learn more about Moloney’s cultural tours, visit mickmoloney.com.